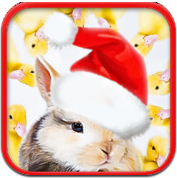 What Doesn’t Belong – Educational Brain Teaser Game for Kids – Christmas is presented to us by Alexandr Stacanov. This app is a very solid educational tool! The intent is to have a discussion with your kids about why they think something doesn’t belong. This goes a long way in improving, logic, reasoning, and vocabulary skills. 70 different levels are available when you buy the in app at $1.99 – It is well worth the purchase price and we wanted to show you why in the videos. The graphics are stunning, the music is calming, and the overall experience is much better. The link in this review is for the free version, which has the first 2 categories. You will see instructions on how to complete the package purchase within the app. Once purchased, all future update are free! This app is highly recommended for all Special Education Teachers, as well as Elementary and Preschool Teachers. It’s a great educational tool! Parents and Caregivers, please point this out to the people that teach your kids. To get the most from the app, before tapping What Doesn’t Belong, ask your kids to explain why. And To Think There Are Hints! 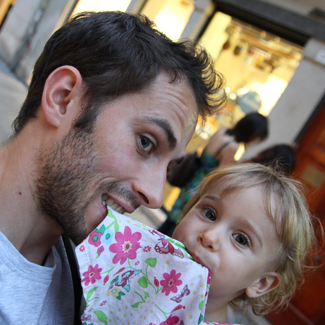 Meet Alex Stacanov and Adorable Daughter Amelia! What was the initial inspiration for your app? All around the world there are so many beautiful and cute things, so we wanted to share them with kids. We thought about the simple and cute puzzle game that will be interesting for kids and even for adults. And this kind of game, like “What Doesn’t Belong?” may be fun and tricky at the same time. As it is based on multiple images, we could share many beautiful images with our little and big players. I personally like that our app is always different. We designed it so that every time you load level, the images change place and rotate. Usually there are 12 images behind the level, but you play with 6. So every time, when you come back to level to play again, it looks like new. Almost. I also like our “Sport” set where you can play level about Paralympic athletes. Kids learn about the idea of equal opportunities for all and that is one way we can make this world better. In the short period we saw a great response from parents and teachers. They say they like the idea and app. There are many things that may be improved and many subjects that may be covered. So we are very inspired to move ahead. Abjad City for iPad – Fun Way To Learn Some Arabic!